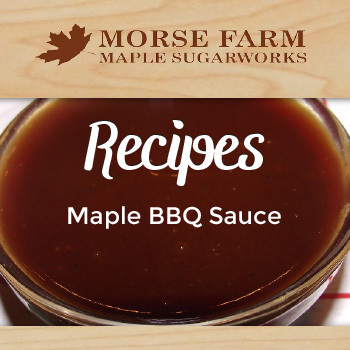 This is a tangy BBQ sauce enhanced with the flavor of Pure Morse Farm Maple Syrup! Combine all ingredients and brush on top of 3 pounds of beef, pork or poultry. Baste frequently with sauce while baking.